If you enjoy playing online slots, the chances are that you’ve heard of loose slots as well. Most players know something about them, but the majority lacks the practical knowledge on how and where to find loose slots in online casinos. Some casinos will give you a hint. Others will stay silent. It’s time to remove the veil of mystery and see what hides underneath the surface of the story about loose and tight slot machines. You may want to grab a cup of coffee, because the next few minutes you should be extremely well focused on what you’re about to read! All set? And action! Which Slots Are Loose and Which Are Tight? There’s no point of looking for loose slots if you don’t know exactly what makes a slot ‘loose’. And once you get that info, you’ll automatically be able to define the opposite – what makes a slot tight. Common benchmark in online casinos is that a slot which has an RTP of 97% and higher is considered loose. Naturally, your next question is what is RTP? RTP is a popular acronym, also known as Return to Player, which presents the single number that defines what is the average return the player will get over the long term. So, it’s simple – the higher the RTP is, the looser the slot is. Loose slot machines are the ones that return 97% or more of bets to a player. Online slot machines with an RTP between 95% and 96% go into the average group, while slots with RTP below 94%should be considered tight. All you need to do now is check the numbers and spin the reels. Or is there maybe something else to be done? One more thing you should pay attention to is variance. 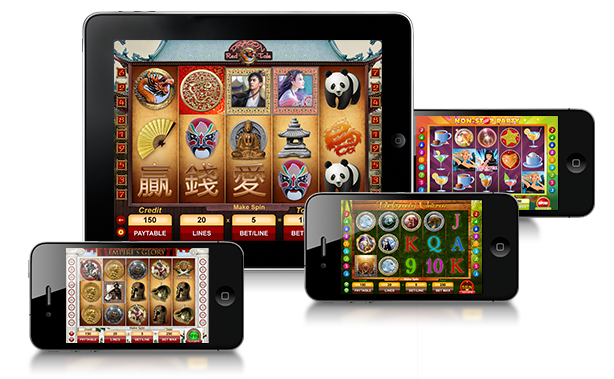 Namely, most online slots bring either small frequent wins or larger wins that occur less frequently. Depending on the reason why you’re playing in the first place, you’ll choose whichever category suits you best. How and Where to Find Loose Slots? Knowing what loose slot machines are is one thing, but finding them is another challenge you’ll often face. First of all, look for online casinos which have publicly audited RTP. This allows gamers to pick a particular online slot according to its payout percen­tag­e. Look for online casinos that publish their payouts to the public. Some of you might have figured that loose slot machines with lower variance are perfect opportunities to take advantage of casino bonuses. This is possible because when you pick the slot with the higher RTP, and add bonuses and comp (loyalty) points, you may turn the edge in your favor. Finally, game providers such as NetEnt and Microgaming are known for developing online slots with high RTP percentage, while various trustworthy online casinos do their best to attract players by offering the same. So, good luck in finding loose slot machines in online casinos. Feel free to share your comments and suggestions at out forum – we always love to hear your voice!